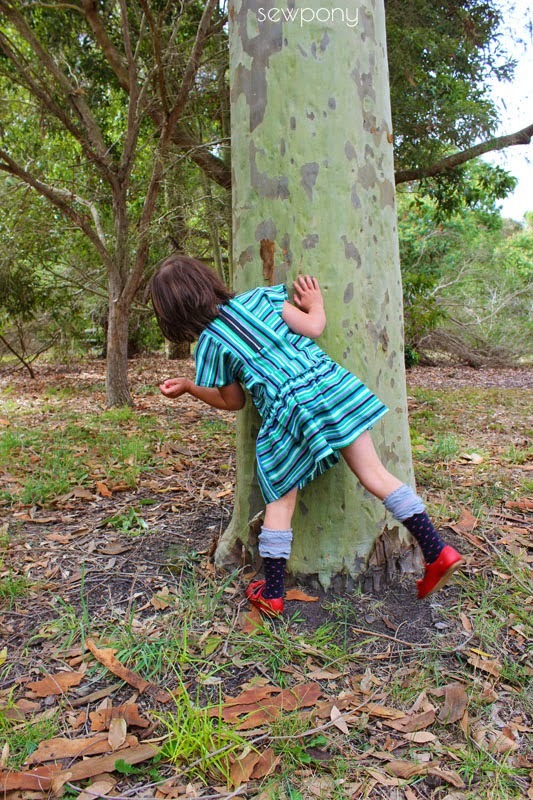 A few weeks ago I did some pattern testing for my blogging friend Olga (Kid Approved) for the new Willow & Co collection, and made the Antalya dress. I really loved the lines of the pattern and was excited to make this pattern as it is unique, I think. It features curved seams at the front and back, a gathered skirt at the back, dolman sleeves and either an exposed zipper or buttons and loops at the back. The neckline is finished with bias binding. I had never inserted a zipper this way before - the facing sits underneath the zip so that from the inside, the zipper is as neat as the outside. 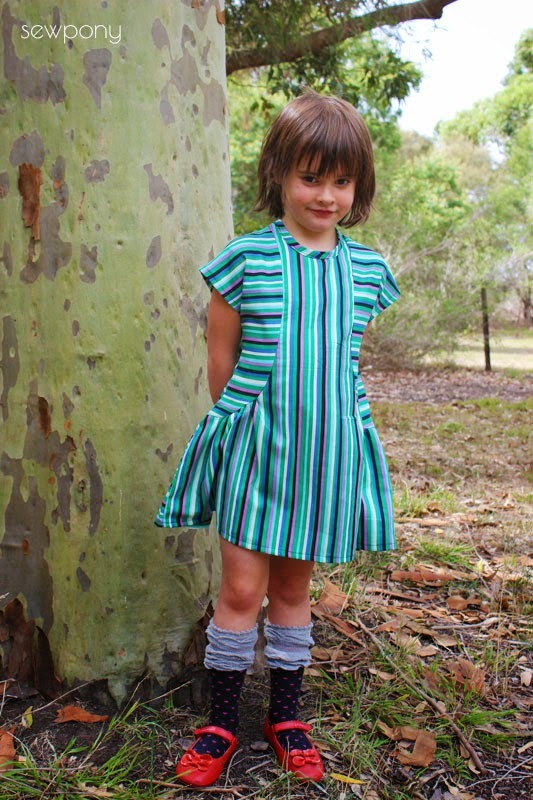 Olga did a great job with this pattern - including digitised pattern drawings and thoroughly tested pattern sized 1 - 12 years. You can also add piping to the curved seams which looks gorgeous on other versions I have seen. 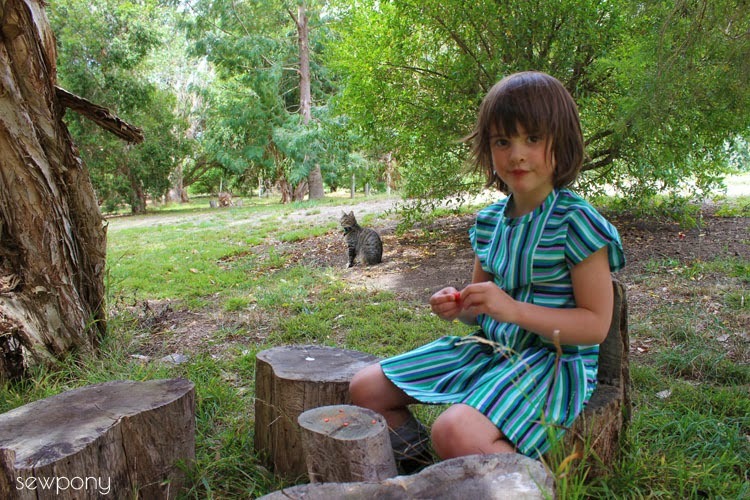 I can highly recommend the Antalya dress pattern - and so can Juliette! Already bought the pattern when it released, I also love the lines! Great seeing your version, very smart playing with those stripes. It looks great! Love the stripes! Thank you SO MUCH, Suz for you nice words and for all your input during testing! It helped me to really improve the pattern. Thank you! I love your fabric selection! It makes me want to buy this pattern and I don't usually sew from premade patterns. 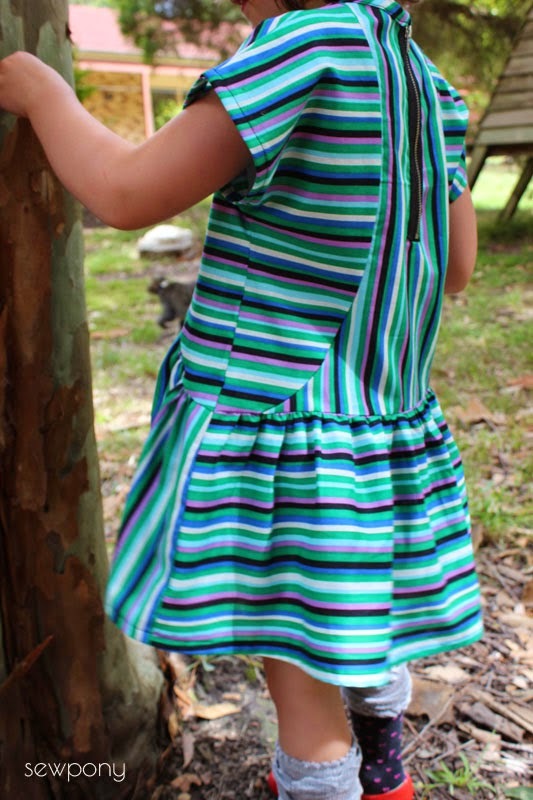 I have this great bright stripe denim that would sew up amazingly into this dress. I love the way you played with the stripes direccion! Cute cute dress!